A British study has raised the uneasy possibility that many riders may not be sitting well in the saddle, with the potential to cause problems for their mount. The Animal Health Trust pilot study set out to investigate some basic aspects of rider position and saddle fit. Side-on photographs of 34 randomly selected horses and riders were evaluated by 12 assessors, comprising four equine veterinarians, an equine veterinary nurse, five equine technicians, and two office staff, both of whom had previously been horse owners. The riders included a mix of pleasure riders and those who competed at amateur and professional levels. The dozen assessors were asked to determine if the rider sat correctly, with the shoulder, hip and heel in alignment. They were also asked to assess whether they felt the rider was too large for the seat of the saddle or for the saddle in general; whether the rider sat too far towards the back of the saddle; whether the fit of the saddle to the rider was likely to adversely affect their position; and whether the rider was too big for the horse. There was generally good agreement among the assessors, but the consensus was rather disturbing. Only 12 percent of the riders were assessed as having their shoulder, hip and heel aligned. Forty-one percent were judged to be sitting too far towards the back of the saddle, while 59 percent were considered to be too big for their saddle. The findings had implications for the balance of the rider and their weight distribution on the horse relative to its centre of gravity, according to Dr Sue Dyson, who is head of clinical orthopaedics in the Centre for Equine Studies at the Animal Health Trust, and also veterinary adviser to the Saddle Research Trust. The preliminary results, she said, would form the basis of a much larger study of saddle fit to horse and rider and the influence on rider position. Dyson, who discussed the findings of the pilot study at this year’s National Equine Forum in Britain, has sometimes highlighted crucial and contentious topics, such as obesity, in such forums to get the industry talking and to take action for the good of the horse. Dyson presented findings from several studies that investigated the relationship between the horse, saddle and rider. She emphasised the importance of correct saddle fitting for the welfare of the horse, but also the implications on the rider’s position, balance, and the pair’s potential to perform well together. The research, she said, should encourage saddle fitters to provide saddles that would not cause pain or compromise the horse’s musculoskeletal development, and assist the rider to maintain a balanced position. Riders and trainers must also recognise the importance of good posture and synchronous movement to minimise inappropriate loading of the horse’s back, she added. The cost of tack can discourage owners from buying the “correct fit”, and instead they will purchase the “best fit” from what is available. Dyson said better training and education should be available to saddlers, giving them access to the latest research and techniques to provide the best products for improved welfare and performance of the horse. 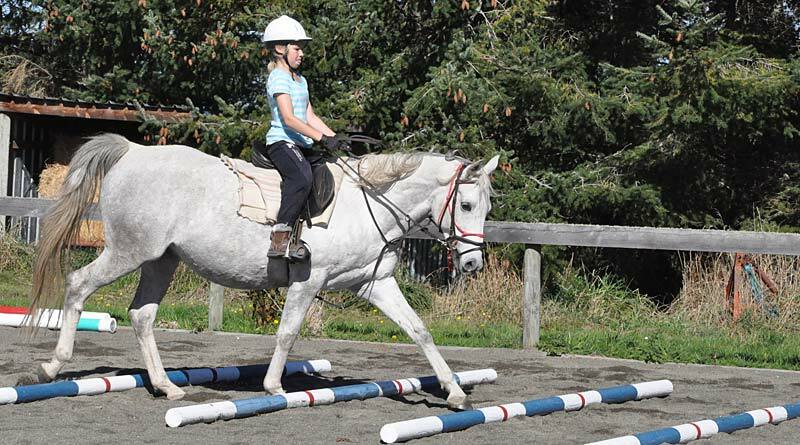 She said they should be encouraged to consider the fit of tack to both the horse and the rider. Owners should be reminded to have their tack checked when they changed their horse’s routine, workload or type of training, and to consider the time of year and the horse’s age or level of training to plan necessary saddle fit checks. Basic rider position − alignment of the shoulder, hip and heel − should be emphasised to riders, trainers and saddle fitters from grass-roots level through to professionals, to better recognise poor saddle fit and promote good rider-horse balance. Better owner education on how to check saddle fit was needed, and Dyson has already developed a leaflet to help. Dyson acknowledged that cost can be a concern, but said money invested in a correct-fitting saddle could save a horse’s back and a huge vet’s bill in the future due to injuries from an ill-fitting saddle. Hummmmm, nothing new just another study as the ones that have been done for over 500 years with classical masters harping on horse owners that you can’t ride a horse until you know how to ride a horse properly. I’m sure that about 4 people will take the article to heart and the rest that do not know how to properly ride, saddle, saddle fit or tack a horse or warm him/her up will just keep going about their fast paced hurried lives.